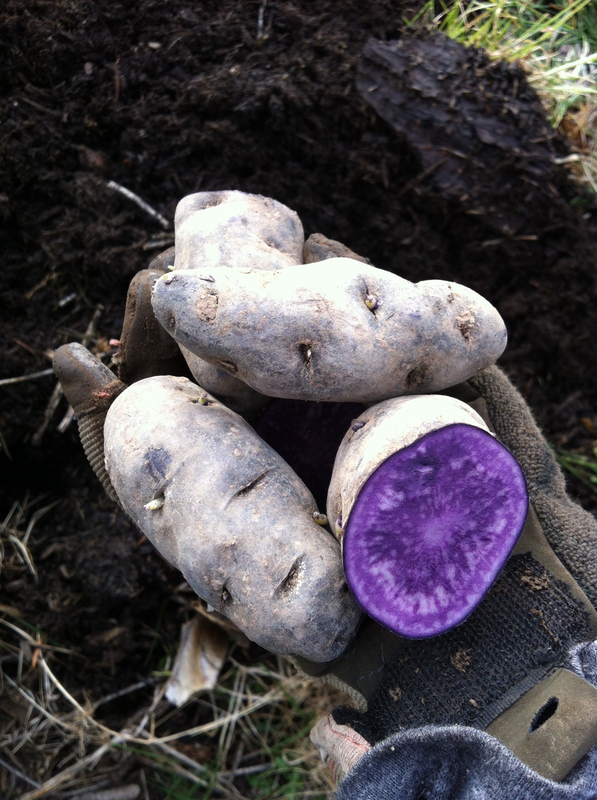 Beautiful purple peruvian fingerling potatoes. Put in three different varieties in Bed #1. 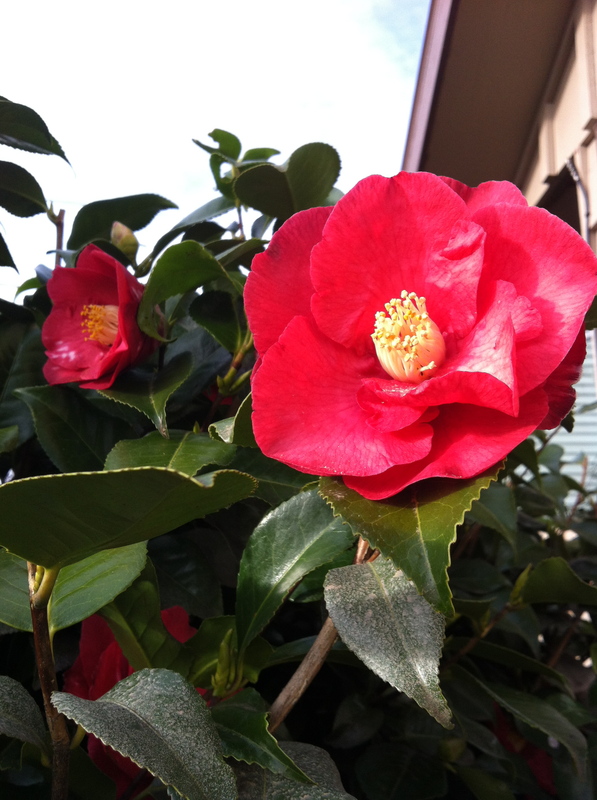 Second camellia bush in front is in full splendor. 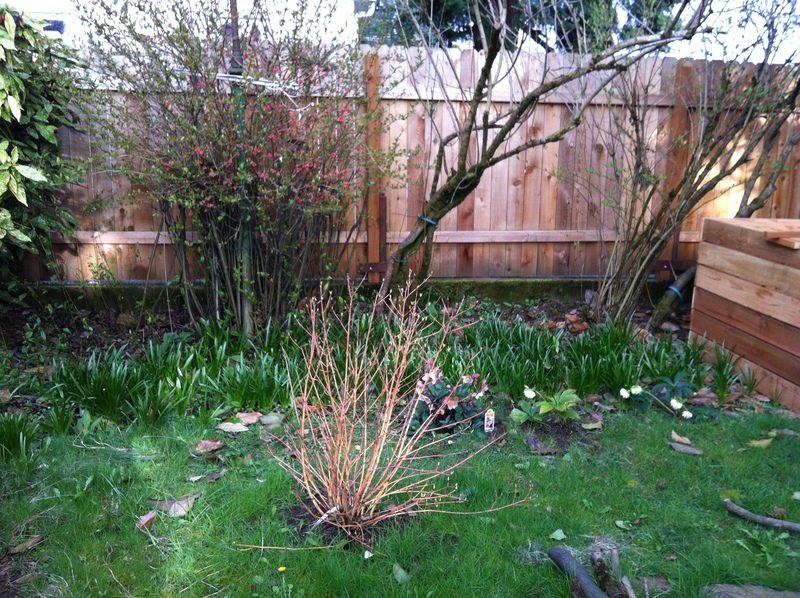 Backyard has great spring color with yellow-twig dogwood, hellebores, and mystery pink-blooming bush. 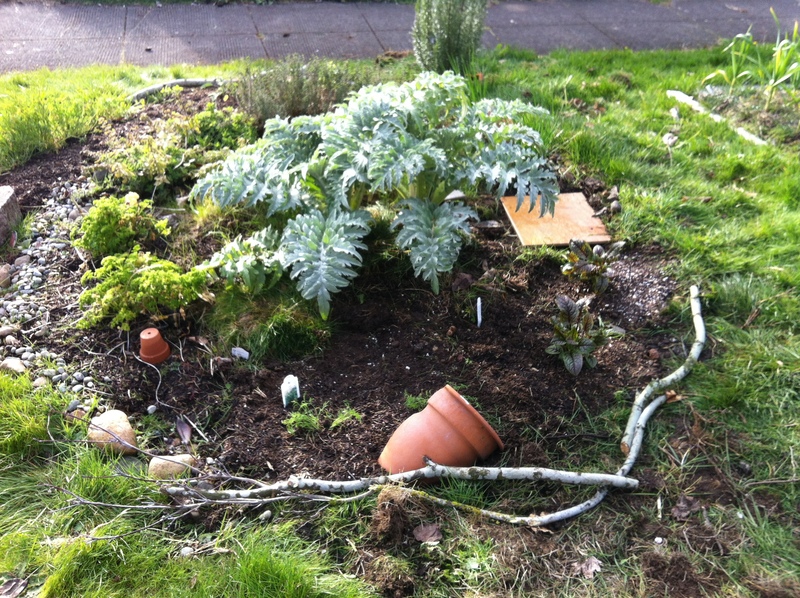 Put in sorrel and dill (front), and sage and tarragon (back). 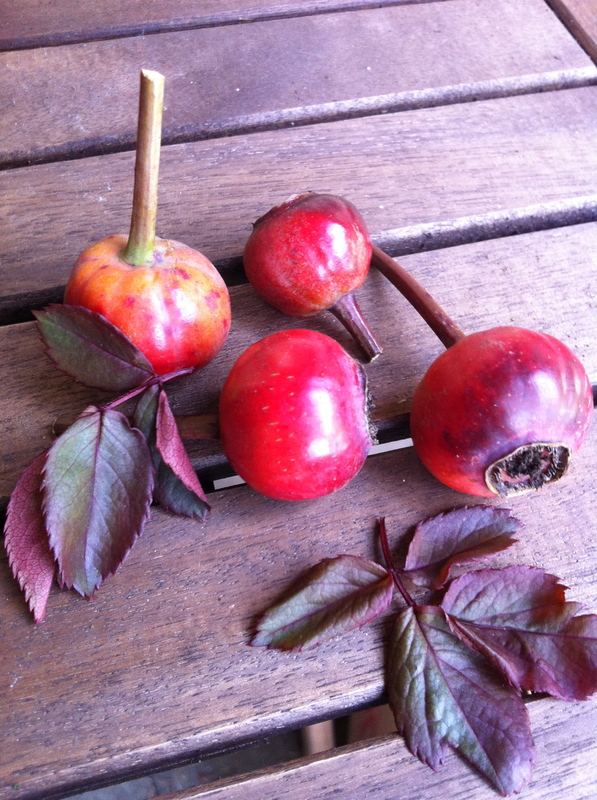 Final rose hips will make great still life subject.